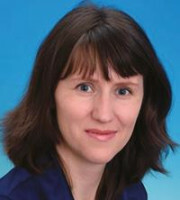 Tatiana Petrova is the head of the trademark department at Sojuzpatent, which she joined in 2010. Before joining Sojuzpatent she practised in the area of intellectual property for almost 15 years at major international law firms. Ms Petrova has been a registered trademark, design and patent attorney since 1997. Ms Petrova has extensive experience in trademark prosecution, opposition and cancellation proceedings, enforcement, opinion work, licensing and other transactional work in Russia and in other former Soviet countries. Ms Petrova is experienced in all areas of intellectual property, including copyright and designs. She has experience in managing large trademark portfolios for companies in a variety of industries, including pharmaceuticals, hardware and software, financial services and consumer products. Ms Petrova focuses significantly on client counselling, including providing advice during selection and clearance, filing and prosecution and overall protection strategies. Ms Petrova holds a master’s in mathematics from Lomonosov Moscow State University. Furthermore, she is a graduate of the Russian State Institute of Intellectual Property as a patent specialist and of the Institute of Economics, Finance and Law as a lawyer. Ms Petrova is an associate member of INTA and has served on different INTA committees for many years.